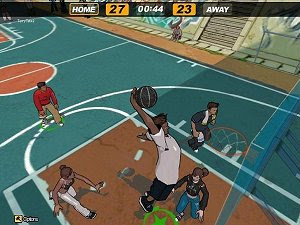 FreeStyle is one of the few Street Basketball games available, and also a great example of the genre. Experience the amazing moves and motions that will leave you and your friends astounded. This free sports MMO game is based on the particular style of hip-hop street basketball. Play to the rhythm with players in the latest fashion, enjoy the graffitis on the courts and the youngsters dancing to the beat. Showcase your extreme moves and prove you’re the player with the best skills on the court.